A very good example of the Regal 206 Valanti Sports Cuddy, the owner has applied some modern touches like L-shaped seating & teak effect flooring. These boats usually have very basic twin bucket seats & twin seats at the back either side the engine cover but it now has a engine bay with huge storage either side of the engine & a area that can be used for sunbathing on top, the set up makes it a very sociable area & the cuddy is a decent size to use for storage or to spend the night. She is powered by a fully serviced 3L Mercruiser attached to Alpha One leg which looks in great condition as well, the owner started her for me & she was on the button. This is the biggest 21ft boat on the market & you won't appreciate that until you come on board. 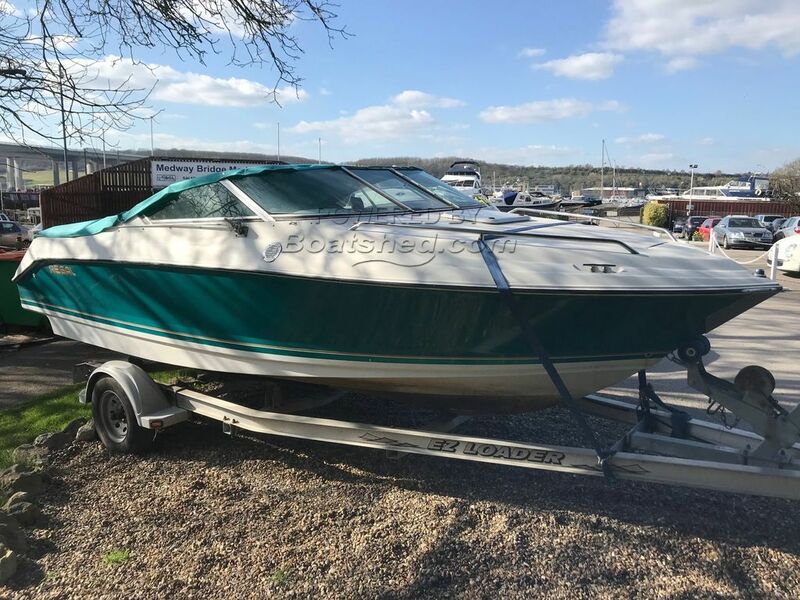 This Regal 206 Valanti SC has been personally photographed and viewed by Jamie Nash of Boatshed Medway. Click here for contact details.